During February 2017, we will be reviewing the careers of several country performers bearing the last name ‘White’. Included in this review will be a family band and several excellent male and female singers and songwriters with fairly short discographies. First, though, we will start with a pair of brothers who are known for their outstanding instrumental prowess. Clarence LeBlanc (June 7, 1944 – July 14, 1973) and his brother Roland LeBlanc (b, April 23, 1938) were born in Maine of French-Canadian parents. The family moved to California in 1954 and at some point before then Anglicized the family name to White. Roland as the oldest made the first move into music organizing himself and his brothers Eric and Clarence (and sister Joanne) into a family bluegrass band. When the family moved to California the boys won a local talent contest and were hired by a local television station as ‘The Country Boys’. After a two year hiatus in the US Army, Roland rejoined the band in 1961, which was renamed as the Kentucky Colonels. In addition to Clarence on guitar and Roland on mandolin, the band featured Billy Ray Latham on banjo and Roger Bush on bass, with other members being part of the band at various times, most notably fiddler Scott Stoneman. The band became quite popular locally and even managed to score a pair of appearances on the Andy Griffith’s hit television show. The band issued three innovative albums but disbanded in 1965 with the individual members pursuing other interests. Clarence and Roland were in heavy demand as session musicians. Clarence appeared in combinations with several noted west coast musicians and bands such as Nashville West. Clarence eventually replaced Gram Parsons with the Byrds in 1968 remaining until the group disbanded in 1973. Roland was of a more traditionalist bent. After the Kentucky Colonels broke up, he spent a few years as one of Bill Monroe’ Bluegrass Boys, then joined Lester Flatts’ Nashville Grass until 1973. After Clarence’s death Roland soldiered onward joining the bluegrass group Country Gazette, remaining there for 13 years. In 1987, he joined the Nashville Bluegrass Band, staying with that group until 2000. After that he formed the Roland White Band, which is still active. Clarence White was a brilliant guitarist, the equal of Doc Watson or Brian Sutton or any other unbelievable guitarist you’d care to name. Most of his best work can be found on the Kentucky Colonels albums. Clarence White was only twenty nine years old when he died so there isn’t an extensive solo discography of his music. I would suggest the Sierra/Rural Rhythm CD 33 Acoustic Guitar Instrumentals, generally available for around $10.00. 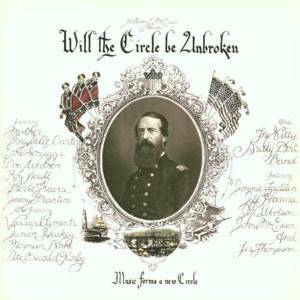 Roland White is still with us and his work, like that of Clarence, can be found on the Kentucky Colonels albums, as well as on Country Gazette and Nashville Bluegrass Band albums. Roland is an exceptional mandolin player. He may not be quite as good on the mandolin as Clarence was on the guitar but he is 99% of the way there and better than all but a very few mandolin players. Frankly, I think everything Roland has played is worth hearing, and he is a pleasant vocalist. My favorite of his solo albums is Trying To Get To You (Sugar Hill, 1994), but I’d happily listen to any of his albums. As the ‘last man standing’ Billboard‘s country charts have taken on an almost mythical importance, yet for most of the 1940s and 1950s, Billboard did a relatively poor job in recording the history of country singles in that their various country charts only went 10-15 places deep. Music Vendor (later Record World) started tracking country music in 1954 and immediately started tracking 55 chart places for country records, a depth of country charts Billboard wouldn’t approach until 1964 when Billboard went to 50 places. For purposes of simplicity, I will always refer to Music Vendor/ Record World as ‘Record World‘. 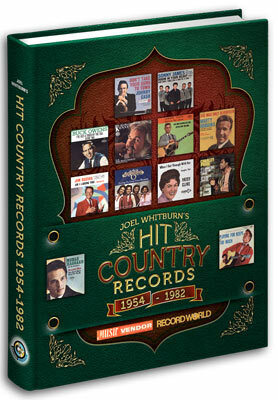 Joel Whitburn’s new volume Hit Country Records 1954-1982: Music Vendor/Record World performs a valuable service in restoring to the known discography of country music a staggering 1700 songs and 200 artists that Billboard failed to chronicle. I always thought that the Wilburn Brothers had a relatively thin representation on the Billboard charts with 31 chart entries from 1954-1972, with many songs that I knew to have been at least mid-level hits not being tracked by Billboard. Turns out that the Wilburn Brothers were the poorest served of all country artists by Billboard with a staggering 30 songs not tracked by Billboard. Other artists with huge holes in their Billboard chart discographies include Hank Snow (26 songs), Eddy Arnold (23 songs), Kitty Wells (21 songs), Hank Thompson (21 songs), Johnnie & Jack (20 songs) and Ernest Tubb, Marty Robbins, Ferlin Husky and George Jones (each with 19 songs). 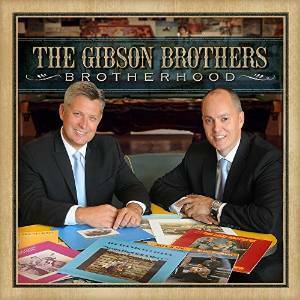 Among Bluegrass artists, Flatt & Scruggs pick up an extra 15 chart entries, Mac Wiseman (13), Jimmy Martin (6), Bill Monroe (4), and the Osborne Brothers (4). There were also apparently differences in how artists were classified. Country audiences always loved Brenda Lee, Elvis Presley, George Hamilton IV and Conway Twitty, a fact Billboard somehow failed to acknowledge. After missing “Jambalaya”, Billboard tracked “One Step At A Time”, and then missed the next eleven consecutive Brenda Lee songs including such monsters as “Dynamite”, “Sweet Nothings”, “Fool #1” and “Break It To Me Gently”. The track record on Elvis was worse as Billboard failed to track “That’s All Right” and “Blue Moon of Kentucky” and “Blue Suede Shoes”, along with 15 more songs. Record World tracked six George Hamilton IV singles before Billboard got around to recognizing “Before This Day Ends” as a country single. Ditto for Conway Twitty who Billboard picked up as country with “Guess My Eyes Were Bigger Than My Heart”, after ten singles had already been tracked by Record World. While most of the songs that Music Vendor/Record World picked up were second tier hits, there were some surprising Billboard misses uncovered such as the George Jones favorites “Tall Tall Trees”, “Eskimo Pie” and “Nothing Can Stop Me (Loving You)”. A very famous song from 1955 was Bobby Lord’s 1955 hit “Hawkeye”; Billboard missed the song entirely on any of its charts, whereas Record World had it charting for twelve weeks, reaching #16. I mentioned that approximately 200 artists show up in this book that Billboard never tracked on its country charts. These include Carl Dobkins Jr (three songs including “My Heart Is An Open Book” which Record World has as a #2 country hit, and Billboard had reach #3 pop), Pete Drake (three instrumental singles), and Buddy Holly (four singles including “Peggy Sue” and “Maybe Baby”). I’ve only had this fascinating book for two days and I will probably report further as time permits, but it would be remiss of me not to further examine the song that initially got me interested in charts. Yes – I do mean “Groovy Grubworm” by Harlow Wilcox and The Oakies. Cashbox had the record reach #1 on its country chart (#24 pop) for two weeks whereas Billboard had the record stall out at #42 on the country chart while reaching #30 on the pop charts. This was the biggest chart disparity ever between singles that reached #1 on either the Billboard or Cashbox country chart but not the other chart. The record was hugely successful, selling a million copies between the US and Canadian markets (it was a top ten hit on several Canadian regional pop charts), so I was curious to see how Record World treated “Groovy Grubworm” on its country charts, recalling that Record World had the song chart higher on its pop chart (#23) than did either Cashbox or Billboard. Record World had the song reach #3 for one week on its country chart during its thirteen week chart run. 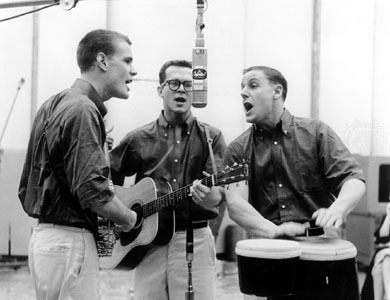 The Kingston Trio were pop stars for about a decade starting in 1957. While the number of hit singles they had was fairly small, they sold enormous numbers of albums and had a large and enthusiastic following, so much so that the group continues to perform to this day, although none of the original members are still in the group. Although often mistakenly classified as folk singers, and often excoriated by purists for not being sufficiently authentic, the Kingston Trio actually was a pop act that used folk instruments and dipped into the entire song-bag of popular music for their recordings. The group never regarded itself as a folk act. The group was formed in 1956 by Dave Guard, Bob Shane and Nick Reynolds. Initially performing in northern California, the trio performed at the Italian Village Restaurant, where they developed a significant following for their unique blend of music and comedy. Their big break came in March when Phyllis Diller cancelled a week long engagement at the Purple Onion in June 1957 and the trio was asked to take the gig. From here their fame spread quickly with appearances at the Village Vanguard in New York, Mr. Kelly’s in Chicago and Storyville in Boston. Signed to Capitol Records in 1958, their first album was a surprise hit in the form of “Tom Dooley” (an updated version of the old folk song “Tom Dula”), which sailed to #1 on Billboard’s pop charts on November 17, 1958. While the Kingston Trio would never again have a hit of that magnitude, they would score ten top forty hits through 1963, with “The Reverend Mr. Black” reaching #8 in 1963. The strength of the Kingston Trio was in album sales as they had five #1 albums, two #2 albums and three number three albums form 1958-1962. Along the way the group received a Grammy for Best County & Western Song in 1959 for “Tom Dooley” and a Grammy in 1960 for Best Traditional Folk Album for AT LAST. Dave Guard, who actually was a bit of a folk purist, left the group in late 1961, to be replaced by John Stewart. The group would continue until June 1967 when they disbanded. All told they charted twenty albums before the 1967 disbanding. The Kingston Trio never actually landed an single or an album on the country charts. Their importance to country music is that they recorded many country songs. Billy Edd Wheeler, who wrote such county classics as “Jackson” and “Coward of The County” got his first real exposure through Kingston Trio recordings such as “The Reverend Mr. Black”. Other country songwriters had songs on various Kingston Trio, country songsmiths such as Bill Monroe, Danny Dill, and Hoyt Axton. Country audiences liked the Kingston Trio and their songs would occasionally get played on country radio – I heard “Reverend Mr. Black” and “MTA” with some frequency over the years. Moreover, many of the Kingston Trio records had a strong bluegrass feel to them as several members of the band played the banjo (and played it well). This country/bluegrass feel of Kingston Trio records became more pronounced after John Stewart replaced Dave Guard. 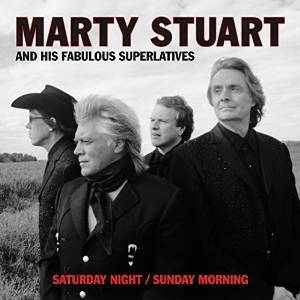 Marty Stuart’s latest album is something of a departure. It is really a double album: one disc, representing Saturday night, mixes a return to the kind of energised country rock he was doing in the 90s with the more traditional country of recent albums; the second, for Sunday morning, is gospel – not the country gospel of his other gospel album this year, but Southern church gospel. Of the rocking country songs, the driving ‘Jailhouse’ (a metaphor for a bad marriage) which opens is by far the best. ‘Sad House, Big Party’ is also pretty good. The rockabilly ‘Geraldine’ is a bit too loud and busy for me, although the performance is committed and it’s fairly catchy. The echoey ‘Look At That Girl’ is definitely too loud, and boring besides, and I didn’t like it at all. There are several effective covers of classic country songs, which are among my favourites. I liked a wailing version of ‘I’m Blue, I’m Lonesome’ (written by Hank Williams and Bill Monroe), complete with train whistle effects to illustrate the song’s imagery. Best of all is a lovely sensitive cut of an obscure George Jones song, ‘Old Old House’, with lovely steel. Marty and the band do another great job on the less well remembered ‘Talking To The Wall’, written by Warner Mack and recorded by Loretta Lynn among others. His soulful version of Charlie Rich’s sultry ‘Life Has Its Little Ups And Down’ is also excellent, but I wasn’t as keen on the blues of ‘Streamline’ which closes disc 1, although the band plays with real virtuosity. ‘Rough Around The Edges’ is a great honky tonker written by Marty himself about a man whose honky tonk lifestyle is caching up with him. ‘When It Comes To Loving You’ is a mid-paced ballad about helplessly loving one who has left and is another very fine new Stuart song, but the instrumentation is a bit loud at times, occasionally swamping the excellent vocal. Disc 2 is clearly a labour of love; but it has little to offer the country fan. I did quite like ‘Boogie Woogie Down The Jericho Road’ and the slow ‘Long Walk To Heave’ .If you like traditional Southern gospel do check it out, as it’s very well performed with guests including gospel legend Mavis Staples. However, I doubt I’ll be revisiting it as it’s just not the kind of music I choose to listen to. I rather wish the two projects had not been conceived of as a pair, but released as separate albums. The Saturday Night section is some of the best music Marty has ever made; Sunday Morning is very well done, but it’s not country. After 1985’s Song In A Seashell, Tom T Hall would take the next decade off from recording, with only 1989’s Country Songs For Kids (essentially a reissue of the 1974 children’s album Songs of Fox Hollow with some new songs added) making an appearance. In 1996 album, Mercury would release Songs from Sopchoppy. Although released by Mercury, it was actually an independent album featuring some of Tom’s Florida friends (and none of Mercury’s session musicians), recorded at a barn in Sopchoppy, Florida. Frankly, I did not like this album as the production sounds like a cross between 1980s pop-country and so-called smooth jazz, with electric keyboard and Kenny G-style saxophone competing the debacle. The songs are good, if often downbeat, but the backing does not suit Hall’s voice. Alan Jackson rescued “Little Bitty” from this album and turned it into a number one single. Finally, in 1997, Mercury released the final (thus far) major label album of new Tom T Hall material with Home Grown. While albums such as Magnificent Music Machine and other scattered album tracks had hinted at a turn to bluegrass, this album made it clear that TTH had returned to his roots. 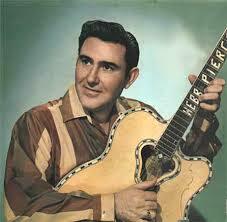 All of the songs were written by Hall, sometimes with an assist from his wife Dixie and are in acoustic settings. I’ve heard many bluegrass bands cover this song, as well as other songs from this album. Since 1997, Tom T Hall has continued to write songs, usually in conjuction with his wife Dixie, and always in the bluegrass genre. He makes the occasional live appearance at a bluegrass performance, and his songs are eagerly snapped up by bluegrass performers. In 2002 Charlie Sizemore issued The Story Is … Songs of Tom T Hall, a collection of TTH’s country songs cast as bluegrass. In 2007 Blue Circle Records released Tom T Hall Sings Miss Dixie and Tom T, a bluegrass album featuring some of Tom’ friends such as Josh Williams, Sonya Isaacs and Don Rigsby with guest appearences by Earl Scruggs and Jimmy Martin. Tom T Hall considers himself retired (although a peek at the Bluegrass Unlimited charts suggests no such thing) and at 78 years of age (as of May 25, 2014) he’s surely earned the right to retire, as no singer-songwriter today, other than perhaps Willie Nelson or Merle Haggard, has produced as large a catalog of interesting and memorable songs.